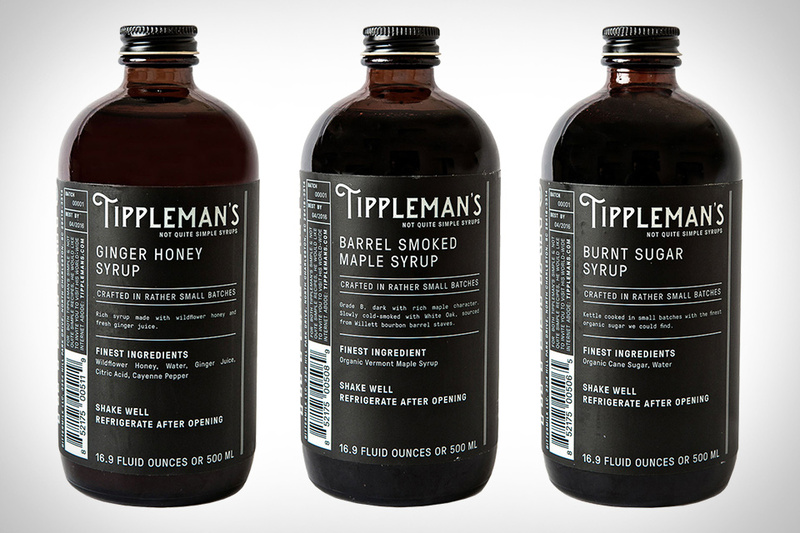 Created by a couple who owned a pre-prohibition era bar, Tippleman's Cocktail Syrups were once only available on site in Charleston, but are now bottled and ready to purchase around the country. Each concoction is made with bartenders in mind to add new flavors to their current menu or create something brand new. Of course, it's just as effective when utilized in your bar or kitchen at home, especially with choices like Burnt Sugar, Ginger Honey, Barrel Smoked Maple Syrup, and more. Created with small bars and restaurants in mind, the Stella Artois Nova Draft Beer Device provides an opportunity for ice cold Stella, without the need to install a full-scale tap system. Stella partnered with designer Marc Thorpe for more than a year to create this intuitive and elegant draught system, which houses over 400 ounces of beer in a glass vessel. The double-layer dispenser keeps carbonation active and the beer cold and fresh for a solid month, which is more than you can say for the tap of Stroh's down at the local dive bar. Sure, the Rabbit is easier to use. It also shares its name with an intimate toy. 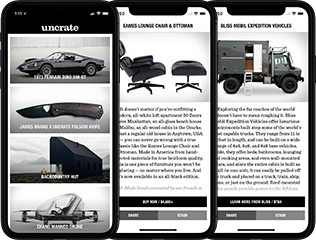 There will be no confusing the Tom Dixon Ark Cork Screw with something that belongs in the bedroom. Crafted from solid brass, this heirloom-quality bar tool is sand-casted for a rough finish and is likely to be a conversation starter at your next dinner party. When it comes to drinking beer and booze, glassware is almost as important as what you fill them with, making Mazama Glassware nearly essential. The Portland based company have created some aesthetically pleasing handmade glasses that are perfect for your next beer or mixed drink. Each one is handblown into a mold and has a slight unique variation. Choose from Smoke, Clear Aqua, or Clear Honey colors. Making a great drink isn't all that hard — you just need to make sure you've got the right amount of each ingredient. The MixStik makes it easy to do just that. This LED-laden stick connects to an app, corresponding each ingredient in the drink with a specific color that shows up on the stick. All you need to do is put the stick in a glass, start pouring, stir/shake/muddle, and garnish. The stick can also be programmed to perform other, less boozy tasks, like become a motion-sensitive lightsaber, or serve as the colorful light source for some light painting. Once you've filled your glass growler with latest double IPA you've been wanting to try, it's only a matter of time before it's warm, has been exposed to UV light to change the flavor, and is sweating all over your car seat. The Beer Growler from Mira makes those problems a thing of the past with its vacuum insulated, food grade stainless steel, 64oz growler. Beer will stay cold for up to 24 hours, and the taste and carbonation are protected since it's double walled and boasts an air-tight, screw-on seal lock. Cork is an ideal coaster material thanks to its ability to retain moisture and dry quickly. It's also fairly easy to cut, which makes it perfect for these Topo Coasters. Sold in sets of four, they're cut to represent the actual topography of real places, the geographic coordinates for which are engraved on the veneered back. Made in Cincinnati, OH.